Get Free shipping on all Sacred Earth Massage Cream, Sacred Earth Massage Lotion, Sacred Earth Massage Oil, and Sacred Earth Massage Gel! 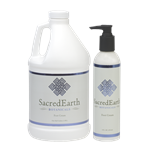 We have the lowest price on all products from Sacred Earth Botanicals! 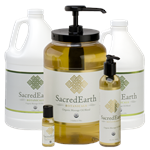 Why choose Sacred Earth Botanicals? SacredEarth Botanicals' unscented massage lotion is light and provides excellent absorption while retaining great glide and workability.